Former Assembly of First Nations national chief Shawn Atleo kept key members of the organization’s chiefs executive committee in the dark before appearing next to Prime Minister Stephen Harper to announce a now-stalled First Nation education bill back in February, according to court documents. Emails filed as part of a Federal Court judicial review application to overturn the Harper government’s tabling of a bill governing First Nation education show the AFN regional chiefs for Ontario and Quebec had no knowledge of the details around the Atleo-Harper education announcement before its unveiling. A Quebec Algonquin chief also states in an affidavit Atleo personally assured him seven days before the announcement there was no deal with Ottawa in the works. The emails and affidavits are part of the Federal Court case launched in late February by the Assembly of First Nations of Quebec and Labrador against Ottawa over the First Nation Control of First Nation Education Act. 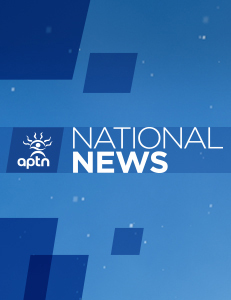 The AFNQL is seeking a judicial review to overturn the government’s tabling of the bill. The AFNQL argues Ottawa failed to adequately consult with First Nations before tabling the bill. The case is ongoing. The emails from current interim AFN national Chief Ghislain Picard, who is also grand chief of the AFNQL, and AFN Ontario regional chief Chief Stan Beardy, along with the affidavit from Kitigan Zibi Chief Gilbert Whiteduck, show the Atleo-Harper education announcement, which produced the First Nation Control of First Nation Education Act, never received the endorsement of AFN executive. The Harper government, however, initially claimed it had the AFN’s support when forced to defend the bill, which now hangs in limbo following Atleo’s resignation in May and the outright rejection of the proposed legislation by many AFN chiefs. Aboriginal Affairs Minister Bernard Valcourt’s office, however, still clings to the claim the AFN entered into some sort of agreement with Ottawa. No paper record exists of any agreement between Ottawa and the AFN, according to Department of Justice lawyers and, as the emails and affidavit show, Atleo was essentially acting alone when he announced his support for the Harper government’s education bill. By all accounts, the seeds of the First Nation Control of First Nation Education Act were initially planted during a Jan. 27 meeting between Atleo, Valcourt, Sto:lo Tribal Council Grand Chief Doug Kelly, Nova Scotia regional Chief Morley Googoo and Chippewas of the Thames Chief Joe Miskokomon. The meeting was held at the AFN’s Ottawa office. Four days later, Atleo assured Picard and Whiteduck during a teleconference the meeting produced no deal. “National Chief Atleo stated clearly that the minister had offered no commitments and there was no deal in the works,” said Whiteduck, in the affidavit. Whiteduck is a member of the AFN chiefs committee on education. Then, on Feb. 5, Atleo sent an email to the AFN chiefs executive informing them an announcement with the prime minister was set for Feb. 7. The news caught Picard and Beardy off-guard. Later that same day Beardy followed up with an email supporting Picard’s position. Atleo resigned as AFN national chief on May 2 saying he didn’t want to be a lightning rod in the debate around First Nation education. Valcourt’s office is coy about whether it’s willing to reengage with the chiefs on the issue. “We have been clear that we will not invest new money in an education system that does not serve the best interests of First Nations children; funding will only follow real education reforms,” said Valcourt’s office, in its emailed statement. The Harper government tied $1.9 billion in new education funding along with a 4.5 per cent yearly escalator to the proposed bill. The money has been set to flow following the next federal election in 2015.